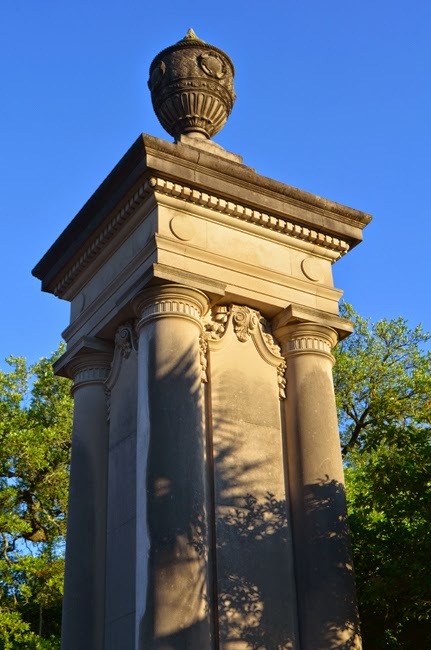 As you know, I recently went on a long overdue, albeit short, vacation to Natchez, Mississippi, and New Orleans. I'd never been to Natchez, an experience I'll write about later, and it was fantastic to revisit New Orleans. As different as it is post-Hurricane Katrina, the areas I visited felt wonderfully familiar. So, you may ask why am I writing about somewhere so far from Atlanta? Well, you've seen me write about places just beyond Metro Atlanta and other places still within driving distance. New Orleans is a bit of a drive, but that's exactly what we did and what I've done before. And believe me, it's worth the drive! I've loved each and every visit to New Orleans and this particular visit was just as fantastic, even if it was quite a brief visit. 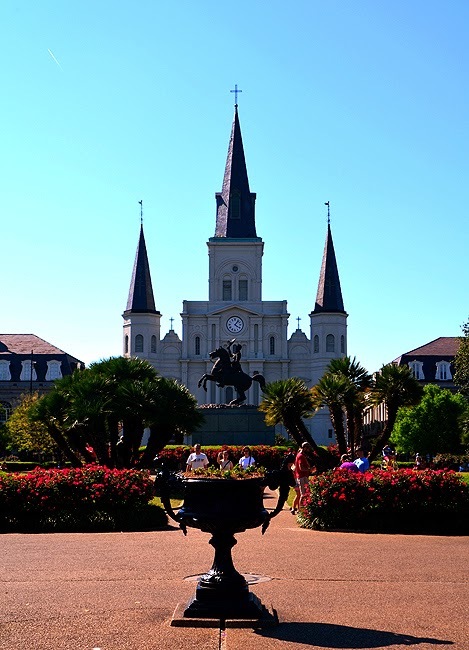 And as much fun as as New Orleans can be, and I've of course indulged, one of my favorite experiences on this visit was chatting with a rather seasoned lady while sitting on a bench in Jackson Square. We'd been out the night before, so operating on an already sleep-deprived energy level, I wasn't at all opposed to sitting for a spell. And actually, Jackson Square is a wonderful place to people watch. I didn't get her name, but that's what the sweet and charming lady shared with me...how great to people-watching is. 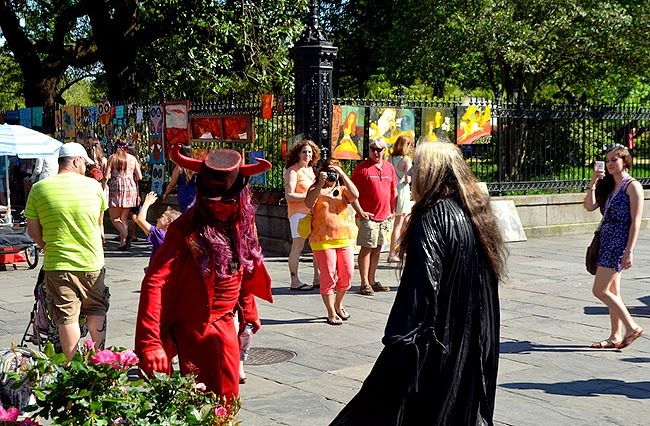 She and her husband, who isn't as ambulatory as he once was, and wasn't there--and she now walks with a cane, a colorful one--used to visit Jackson Square every weekend. She reminded me of some of the conversations I used to have with my grandmother, who passed a number of years ago...so it was quite a special experience. 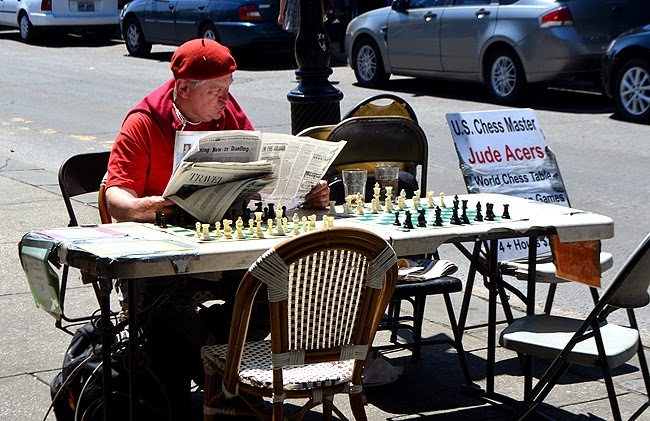 I'd seen park chess players in New York City and in Dupont Circle in Washington, D.C., where I used to live, but had not noticed them in New Orleans before. I've been playing chess since the age of nine and would have loved to had the time to play a game with Jude Acers, "The Man in the Red Beret" (photo above). I'd have lost miserably, but it would have been fun to play a champion of his stature. Perhaps next time. It's been nearly a decade since the hurricane and being sorely aware of the damage she caused, it was comforting to see so many of the iconic scenes of the New Orleans I was familiar with. Living in Atlanta, the closest I've come to experiencing New Orleans is Miss D's New Orleans Style Candy, at the Sweet Auburn Curb Market. She is as sweet and hospitable as anyone I've met in New Orleans, where she lived before Katrina. I've written about the Market and Miss D before. And then there are the sights that no matter how familiar you are with New Orleans as a tourist, they still catch you off guard. That's part of the fun of visiting! Ahhhh...the French Quarter! As wonderful as the food is in New Orleans, we didn't have time for a 'proper' dining experience, although I did have some gumbo in the French Market, which was more like soup than the gumbo I've enjoyed many times before, but the flavor was absolutely wonderful! 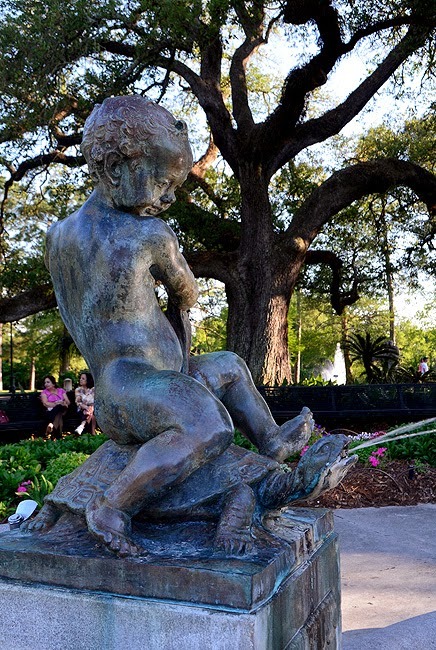 Not surprisingly, not all the 'interesting' sights are in the French Quarter...there are some rather interesting sights in Jackson Square. Although smart phones weren't as prominent on my last visit as they are today, cameras are part of the New Orleans experience...so never, ever think that what you're doing in New Orleans will stay in New Orleans. Of course, I spent plenty of time posting to my own Instagram account, innocent photos, of course. As many times as I've visited New Orleans, I'd never made it to the Garden District, so that was definitely on the agenda this trip...it's BEAUTIFUL! The 19th Century homes of the Garden District, or Uptown, are beyond stunning...you can't take your eyes off them. Fortunately I wasn't driving. And I hear that Anne Rice, author of Interview with the Vampire, has moved back to New Orleans. 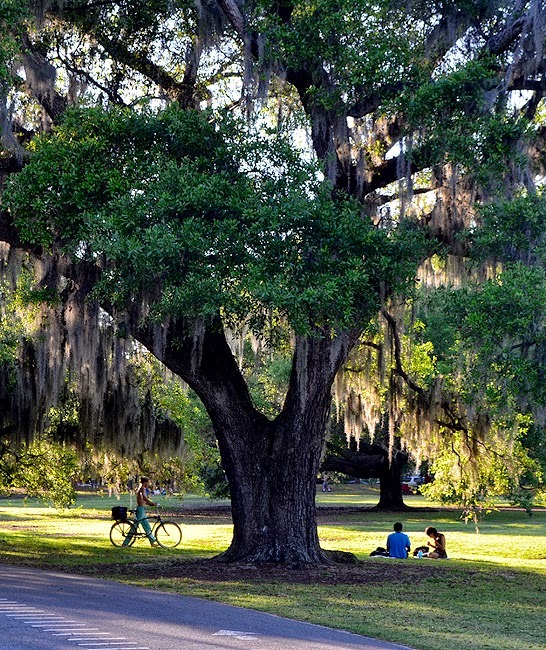 Audubon Park is spectacular! We had only a limited amount of time to explore, but what I saw made me want to stay...stay for a long time. It reinforced the fact that New Orleans is more than Mardi Gras, it's more than the Jazz Festival...to many it's home. And a beautiful home it is. 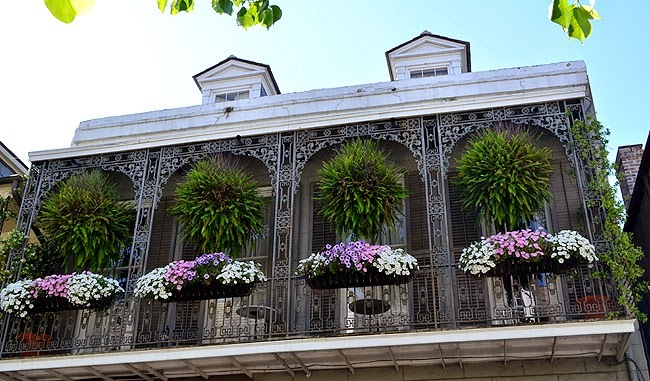 There is so much to see and explore and experience in New Orleans, I have to promise myself to make more time--a lot more time--for my next visit. 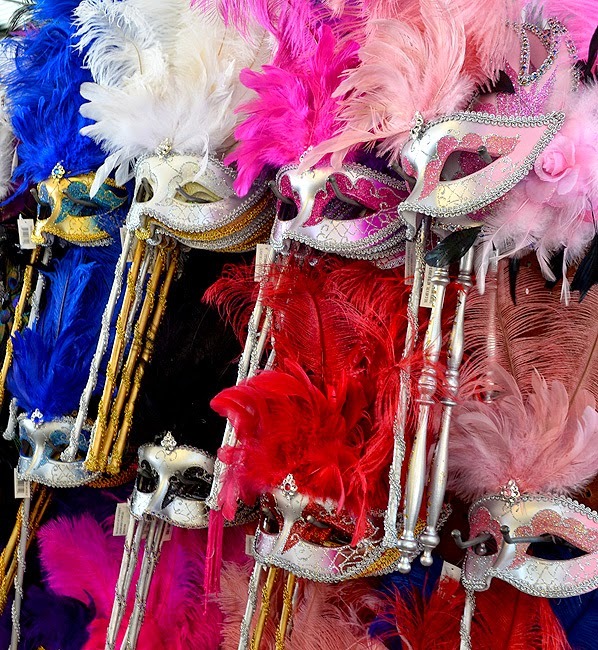 Everyone's experience of New Orleans is unique and every visit every person makes is just as unique. I'm grateful for a more exploratory visit this time, of the parks, of the architecture, of the people...of the city itself. 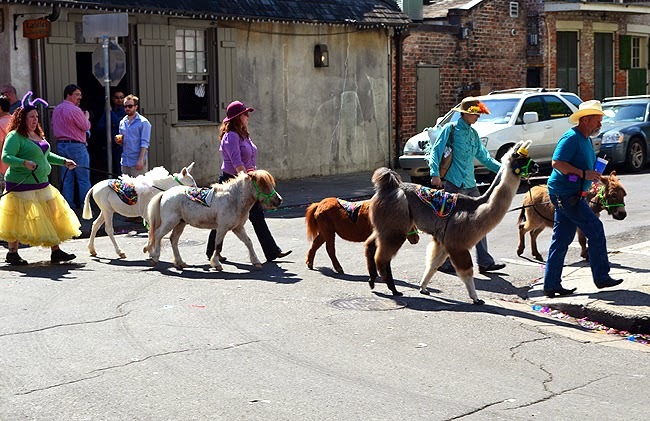 And there will always be the fun that New Orleans is known for. 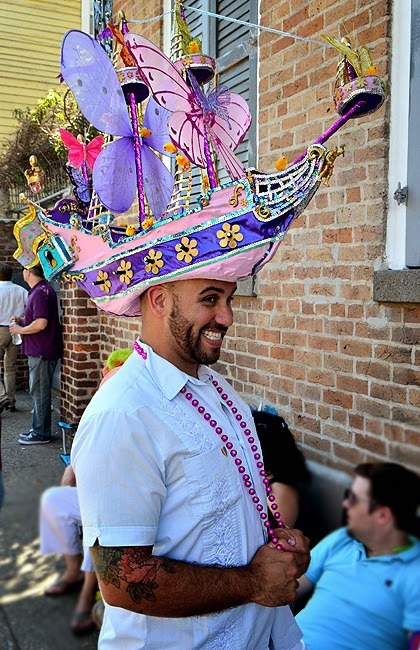 Always make time for fun when you visit New Orleans. Always. Lions Invade Atlanta...Atlanta Loves It!